combination of elegance, functionality, and reliability. Since 1968, Rundum Meir has been a leader in garage door design, elevating this functional space to an eye catching architectural feature of single family homes and multi-family residential complexes around the world. With our Side Sectional doors, you can achieve the elegant architectural style of your dreams while retaining the reliability and easy operation that Rundum Meir is known for. Every Side Sectional designer garage door is individually designed and hand-built from premium materials to unify the garage into the architectural style of your project. Side Sectional doors fit into the widest spectrum of design preferences, able to achieve every style from sleek and contemporary to a more technologically advanced twist on classic carriage style garage doors and everything in between. Other wood options are available upon request. Side Sectional doors can be designed for arched entryways and include windows for visual appeal and to allow natural light into your garage space. 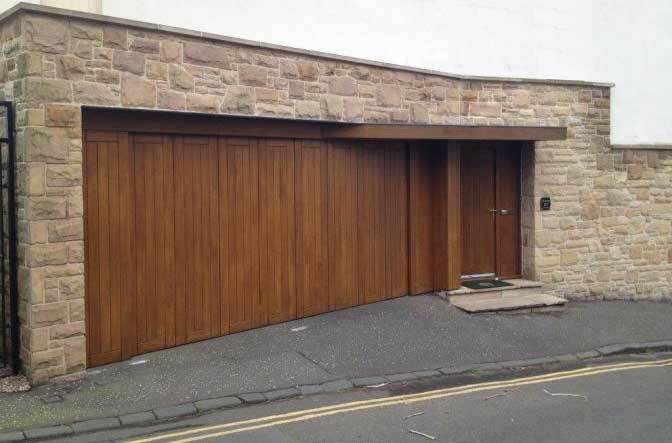 Carriage style garage doors evoke the feeling of a bygone era, with horse-drawn buggies and traditional homes. These doors exude sophistication and classic appeal. 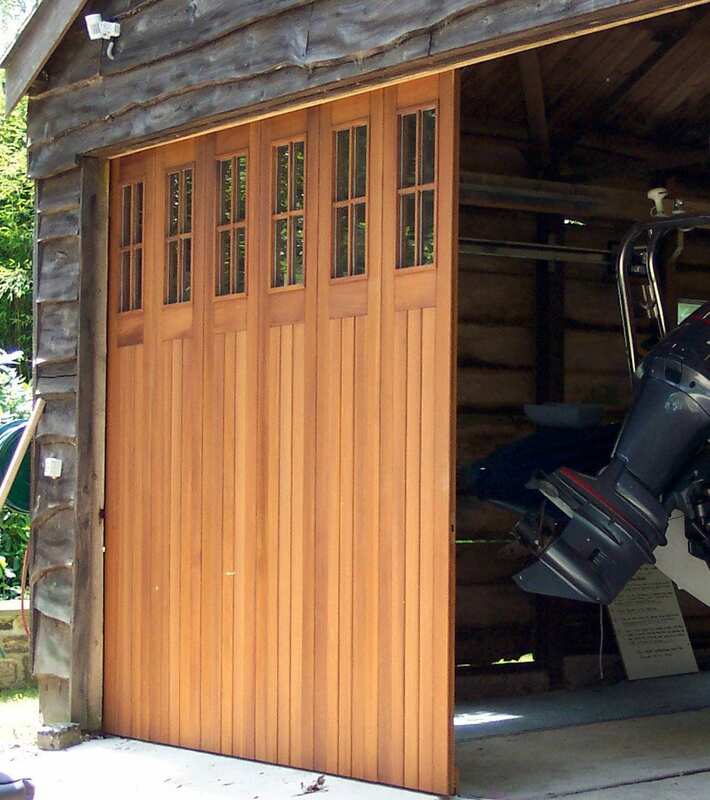 However, traditional carriage style garage doors are designed with 2 doors that swing outward to open, requiring a wide berth in front of the garage. Rundum Side Sectional carriage style garage doors can achieve the same architectural appeal with the convenience of a side sliding door that is easy to operate, low maintenance, and built to last. 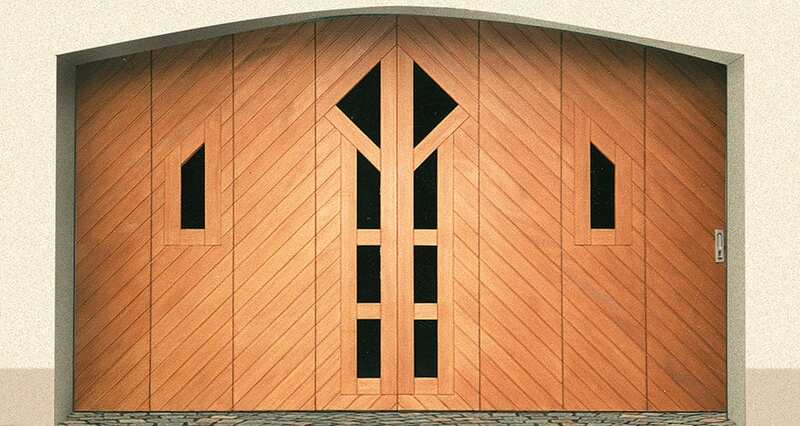 Rundum Meir helps architects and builders create designer garage doors with old world Bavarian craftsmanship, unbelievable design flexibility and premium materials. Get started today by calling Rundum Meir of North America at 281-863-9448.